Worth £12 - with a £30 Spend on Green People! Try Green People Skincare from Just £8! Gentle, Organic Childrens and Babies Range! Green People's gorgeous gift sets, the perfect present for a special someone, or to treat yourself! Charlotte began making her own organic creams and salves, which eventually resulted in the birth of Green People in 1997. Launching with a promise, never to use aggressive ingredients, synthetic chemicals, synthetic fragrances or to test on animals, Green People ensure product performance and ethical practice are never sacrificed for profit. With Green People’s skincare collection nurturing even the most sensitive skin, the range is boosted with 70+ certified organic ingredients. Free from harsh foaming agents, petrochemicals and skin-drying alcohol, the Green People range caters for every age demographic and enables consumers to easily find products to protect, nourish, balance and respect their skin. The skincare collection includes a range of natural and organic cleansers, scrubs and exfoliators, facial oils, eye serums, masks and moisturisers. 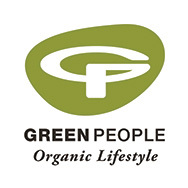 With a loyal brand following and countless testimonials from customers who have finally found a skincare solution that works for them, Green People has been presented with over 140 awards from various magazines and organisations including Natural Health Magazine, The Green Parent and Ultimate Natural Beauty Bible. Most recently, the Age Defy+ 24 hr Brightening Moisturiser won Editor’s Choice and the Damask Rose Moisturiser won Best Day Moisturiser at the Beauty Shortlist Awards 2018. The ultimate collection for those looking to age gracefully, Green People’s Age Defy+ collection works to defy the signs of ageing with the pairing of nature and science. Boosting radiance, clarity and vitality, the collection promotes skin regeneration, moisture balance and deep hydration. The organic collection, created for women aged 35+, includes an array of age-defying products such as cleansers, body lotions, moisturisers, facial oils, serums and exfoliators. Packed with up to 99% active natural and organic ingredients, when using Green People products you can rest assured you’re protecting, nourishing and balancing your skin in the most sensitive of ways. 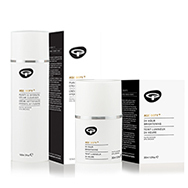 The ultimate collection for those with sensitive skin, Green People’s Neutral Scent Free products are rich in natural actives to restore and protect your skin’s natural barriers. Boosting health, radiance and skin softness, the collection is naturally gentle on sensitive skin. Combining clinically proven plant actives and emitting essential oils, an intense hydration complex is created to help even the most delicate of skin. The Neutral Scent Free Collection includes an array of products suitable for sensitive skin, such as cleansers, body lotions, eye creams, deodorants, hand wash, shower gel, shampoos and conditioners. The ultimate natural skin care collection for men, Green People’s collection for men is perfect for all skin types, even the most sensitive. Made without the harsh chemicals that can often be found in mainstream brands, the products are free from sodium lauryl, laureth sulfate, phthalates, parabens, artificial fragrances and ethyl alcohol. Packed with powerful organic ingredients and boosted with organic essential oils, the collection of natural products gives noticeable results. Including an array of shaving products that help to tackle the common issue of shaving rash, the formulas are free from skin-irritating SLS, alcohol and artificial fragrances. The men’s collection includes an array of products suitable for sensitive skin, such as showerl gel, moisturiser, shaving gel, face scrub, shower wash, shampoo, deodorant and serum. The ultimate natural haircare collection, Green People’s range includes products infused with Quinoa protein for up to 50% more shine, Artichoke extract to protect and repair hair cuticles and Avocado oil to deeply condition. With haircare products for men, women and children, the collection is made without harsh chemicals that can often be found in mainstream brands. Free from hair clogging silicones, SLS and artificial fragrances, the ranges work to balance hair and boost shine, leaving locks carefully cared for. Perfect for all hair types, there’s a shampoo and conditioner that can work magic on your locks. Infused with active nutrients like B vitamins and Avocado extract, the products are sure to become your new favourite. The Green People haircare collection includes Quinoa & Artichoke Shampoo and Conditioner, Irritated Scalp Shampoo and Conditioner, Organic Children’s Shampoo and Conditioner, Organic Homme Shampoo, Neutral Scent Free Shampoo and Conditioner, Intensive Repair Shampoo and Conditioner, Daily Aloe Shampoo and Conditioner, Organic Babies Wash and Shampoo. Packed with up to 99% active natural and organic ingredients, when using Green People products you can rest assured you’re protecting, nourishing and balancing your hair in the most sensitive of ways. The ultimate natural bodycare collection, Green People’s range includes products infused with carefully balanced blends of clinically proven plant actives and hand-picked ingredients. Working to pamper your body and mind naturally, while taking care of sensitive and delicate skin, the organic bodycare products mean you can rest assured you know exactly what you’re putting on your skin. Formulated with natural, pure and certified organic ingredients, the collection is free from parabens, SLS and harsh chemicals. With Green People ensuring products aren’t diluted with water or drying alcohol, a little goes a long way. Made without harsh chemicals that can often be found in mainstream brands, there’s a bodycare option for even the most sensitive of skin. The Green People bodycare collection includes shower gel, body lotion, shower gel, moisturiser, toothpaste, deodorant, hand wash and exfoliator. Ensure you’re safe in the sun with Green People’s range of natural suncare. Working to naturally protect your skin from the sun, the organic lotions are boosted with a blend of earth minerals, the mountain flower Edelweiss and a filter derived from Cinnamon. Marine friendly and organic, the products offer broad-spectrum UVA/UVB protection and are also free from harsh chemicals and artificial fragrances, meaning they’re also ideal for sensitive skin and prickly heat. The perfect solution for those who suffer with prickly heat, the formulas are free from the pore-clogging ingredients which can often be the cause. Removing silicones and mineral oils from the formulas, Green People ensure skin is free to breathe and prickly heat is less likely to occur. Made without harsh chemicals that can often be found in mainstream brands, there’s a suncare option for even the most sensitive of skin. The Green People suncare collection includes Organic Children’s Sun Lotion, Scent Free Sun Lotion, Sun Lotion with Tan Accelerator, Facial Sun Cream, Self-Tan Lotion and Hydrating Aftersun Lotion. Charlotte began making her own organic creams and salves, perfectly tailored to her daughter’s allergy-prone skin. The long and frustrating battle to find products to help her daughter’s severe skin problems resulted in the birth of Green People in 1997. The Children & Babies collection includes sun lotion, nappy cream, baby wash and shampoo, hand sanitiser, shampoo and conditioner and bath and shower gel. With a loyal brand following and countless testimonials from customers who have finally found a skincare solution that works for them, Green People has been presented with over 140 awards from various magazines and organisations including Natural Health Magazine, The Green Parent and Ultimate Natural Beauty Bible. Packed with up to 99% active natural and organic ingredients, the Green People range caters for every age demographic and enables consumers to easily find products to protect, nourish, balance and respect their body. A true #TeamGorgeous favourite, we love the story behind Green People. Incepted in 1994 by Charlotte Vøhtz, Green People was created with a mother’s desire to find natural and gentle products for her daughter’s sensitive skin. “From that moment, I realised that we all are children of the chemical age and that man-made chemicals found everywhere, combined with changing dietary habits, profoundly affect us all”. So here are a few of #TeamGorgeous’ Green People favourites, to help you pick the cream of the crop from this wonderfully ethical brand. 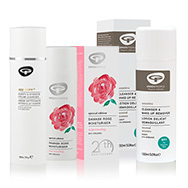 View all Green People skincare, haircare and bodycare products in one place. Do You Use Natural Toothpaste? In our New Series, celebrating International Women's Day - catch up with Charlotte Vøhtz, Green People. 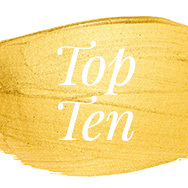 Discover our top 6 tips on how to soothe a sensitive scalp.